Enjoy a Sohour by the pool at “Ayam We Layali” terrace where you’ll get to choose from an array of dishes while you unwind to the tunes of the oriental takht. For inquiries and reservations call 002023946902. If you’re looking for an Iftar/Suhour with a view, then Conrad is the perfect spot. 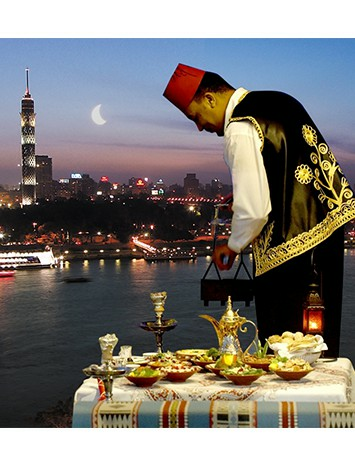 They have a breathtaking view that overlooks the Nile, shisha and drinks, and so many scrumptious a la carte suhour options to choose from. For inquiries and reservations call 0020225808000.